select *, DATE_FORMAT(birthday, "%b %e, %Y") as _birthday, DATE_FORMAT(died, "%b %e, %Y") as _died, MONTH(birthday) as month_birth, DAY(birthday) as day_birth, DATE_FORMAT(birthday, "%b %e") as _birth_day_month from agatti_people where agatti_people.u_name = "fred-macmurray"
Shares birthday with Raymond Massey, Joan Blondell, Shirley Booth see more.. 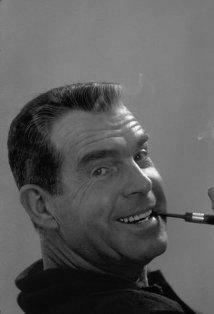 Legendary actor, Fred MacMurray, was born Fredrick Martin MacMurray on Aug 30, 1908 in Kankakee, IL. MacMurray died at the age of 83 on Nov 5, 1991 in Santa Monica, CA and was laid to rest in Holy Cross Cemetery in Culver City, Los Angeles County, CA. 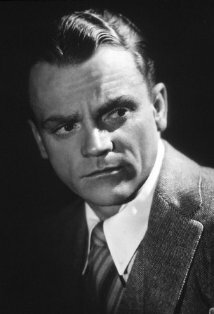 Frederick Martin MacMurray was born on August 30th, 1908 in Kankakee, Illinois to Maleta and Frederick MacMurray and had ties to the entertainment industry thanks to his actress aunt, Fay Holderness, who worked in vaudeville. Before MacMurray was out of diapers, he and his family packed up and moved to Madison Wisconsin, before finally selling in the small town of Beaver Dam when MacMurray was five years old. In Beaver Dam MacMurray lived a simple, small-town American life. In high school the young Frederick grew to be over six foot tall, becoming a prominent athlete in the sports of football, baseball, and basketball. After graduating high school, MacMurray received a full scholarship to Carroll College, where he switched gears from sports to music. He soon joined a myriad of local bands, playing the violin, baritone horn and specializing in the saxophone. He would eventually drop out of college to pursue his dreams in show business. After eschewing school for more a more practical education in the realm of show business, MacMurray spend his next few years traveling between New York, Los Angeles and Chicago. In 1930 he got a gig as the saxophonist in the Gus Arnheim and his Coconut Grove Orchestra and later that year was featured as the lead vocalist on tune "All I Want Is Just One Girl." Although music was MacMurray's main pursuit, he soon began dabbling in the world of comedy and acting. Soon after recording with Arnheim, MacMurray made his Broadway debut in the Max Gordon musical revue Three's a Crowd, a hit play that would run for over 270 performances. In 1933 he would go on to share the Broadway stage with Sydney Greenstreet and Bob Hope in Roberta. The next year MacMurray was noticed by Hollywood, signing a seven-year contract with Paramount Pictures in 1934. In 1935 MacMurray made his Paramount debut with a supporting role in the John S. Robertson romance Grand Old Girl. MacMurray would spend the rest of the decade working on his craft, appearing in over 20 films in the span of five years. Although much of his early work is fairly forgettable fare, he did manage to snag a few choice roles along the way. 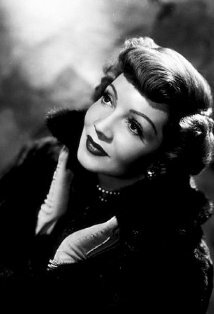 In 1935 he starred opposite Claudette Colbert in the romantic comedy The Gilded Lily. The pair would eventually appear in six more films together. 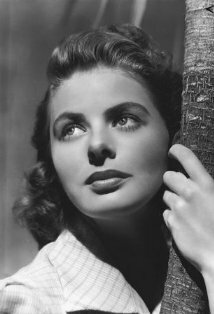 Later that year he starred opposite Katharine Hepburn as the affluent object of titular character's affections in Alice Adams. The next year he appeared with Henry Fonda and Sylvia Sidney in the ambitious Henry Hathaway Technicolor romance The Trail of the Lonesome Pine. He then starred opposite Carole Lombard in the comedy True Confessions. In 1936 MacMurray married his longtime love, Lillian Lamont, whom he would remain married to until her death in 1953. By the time the 1940s rolled around, MacMurray had gained a reputation as solid actor with a great work ethic. Thanks to his small town upbringing, he often cast as the upstanding, decent and quietly thoughtful character, no matter what genre he appeared in. In 1940 he once again worked with comedy director Wesley Ruggles, starring opposite Jean Arthur and Melvyn Douglas in Too Many Husbands. 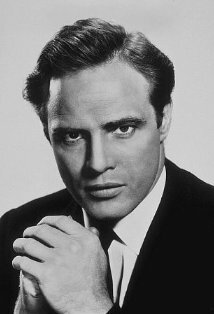 The next year flexed his acting chops in the Michael Curtiz action flick Dive Bomber opposite Errol Flynn. By 1943 MacMurray was not a thoroughly respected actor but also became one of highest paid actors in the world with a salary of 420,000. He purchased land in Northern California and created MacMurray ranch. In his off time from acting, he would spend much of his time there, raising award winning Aberdeen Angus cattle. 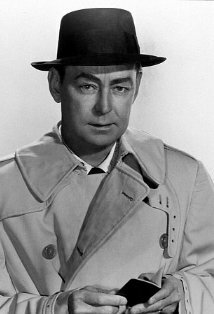 In 1944 MacMurray was given the chance to play something outside his normal "nice guy" range with the Billy Wilder film-noir classic Double Indemnity. In the film he played Walter Neff, a seemingly perfectly average insurance salesman who works with Barbara Stanwyck to plot the murder of her husband and collect the insurance money. The film was great success at the box office and with the critics gaining seven Academy Awards nominations. Double Indemnity also proved to Hollywood there was more to MacMurray than just "Mr. Nice Guy." Despite this, MacMurray remained typecast with films like Suddenly It's Spring, On Our Merry Way and A Millionaire for Christy. By the 1950's MacMurray's acting career began to decline. Although he still received steady work, he was given mostly subpar roles in films like 1950's Borderline, 1951's A Millionaire for Christy and 1953's The Moonlighter. In 1954, however, he did manage to score a meaty role in the Edward Dmytryk's big screen adaption of The Caine Mutiny. In the film MacMurray played the role of the cynical and two-faced Lieutenant Thomas Keefer. He followed that another great performance in hard-hitting film-noir Pushover. His subsequent films, however, failed to match the success of The Caine Mutiny and Pushover and by the late 1950's MacMurray was staring in most non-descript westerns. During this time he also began dabbling in the new medium of television, which would later prove to be his bread and butter. In 1960's MacMurray's career was given a second wind that started in 1959 when he was cast as the lead in Walt Disney's first live-action comedy The Shaggy Dog. The film was a financial success and put MacMurray back on the map. 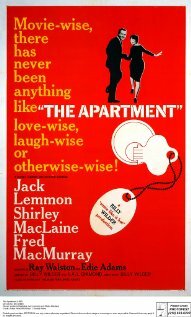 The next year he re-teamed with Billy Wilder, once again playing against type as Jeff Sheldrake, a morally bankrupt, corporate executive who has no problem's cheating on his wife then casting his broken-hearted mistress (Shirley MacLaine), even after learning about her suicide attempt in The Apartment. Although the role proved to be his last of any great substance, MacMurray would still continue on with a successful career. Following The Apartment, MacMurray returned to his good-guy persona as Professor Ned Brainard in The Absent Minded Professor. 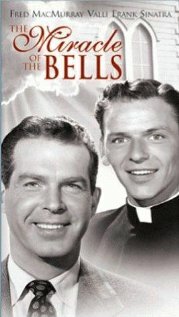 Also, that year, he was cast as the loving but stern patriarch, Steven Douglas, in the television series My Three Sons. The series would prove a long lasting hit, playing on the air from 1960-1972. Initially, during the series off time, MacMurray other acting gigs in films like Bon Voyage! And Son of Flubber, However, by the end of 1960's he simplified his life by sticking to just My Three Sons. After the show ended in 1972 he took on a few role such as the TV movies The Chadwick Family and Beyond the Bermuda Triangle, but announced his retirement in the 1978. His final big screen appearance was as Mayor Clarence in the Irwin Allen disaster film The Swarm. After leaving the movie business he lived a quiet life in Santa Monica. He suffered from throat cancer in the late 1970's, but managed to quell it to remission. In 1987 he became the first person ever to receive the Disney Legends award. Later that year his cancer would reemerge, this time with severely more crippling effects. On November 5th, 1991, Fred MacMurray died of Pneumonia. He was 83 years old. He was honored with one star on the Hollywood Walk of Fame in the category of Motion Pictures. On October 13, 1987, MacMurray received the Disney Legends Award for living up to the Disney principals of imagination, skill, discipline, craftsmanship and magic. MacMurray was never nominated for an Academy Award. and Jane Wyman Say Bon Voyage! Deborah Patterson: What ever happened to your conscience? Mike Frye: I just had it washed. I can't do a thing with it. Pete Marshall: I'm with the Trotter Poll. We're like the Gallop Poll but not as fast. Edward 'Whitey' White Jr. - as an Adult: Lem, the Troop Committee will handle all that. Lemuel Siddons: Oh, the Troop Committee, they'll gob everything up! "The Untouchables" (1959). He was also the first choice to play the title role on TV's "Perry Mason" (1957). Steve Douglas, MacMurray's character on "My Three Sons" (1960), was ranked #7 in TV Guide's list of the "50 Greatest TV Dads of All Time" [20 June 2004 issue].